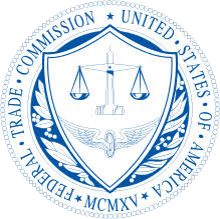 The Federal Trade Commission (FTC) announced that a new law, “Economic Growth, Regulatory Relief, and Consumer Protection Act,” will require credit reporting agencies to offer free credit freezes and year-long fraud alerts beginning September 21, 2018. Credit freezes restrict access to your credit file, making it much more difficult to open credit accounts.This is an effective way to prevent an unauthorized person from opening a new account in your name and is especially helpful if your information has been revealed in a data breach.Fraud alerts provide individuals with notifications if there is an attempt to open a new account. The NJCCIC highly recommends individuals to take advantage of these free services. More information on the new law, credit freezes, and fraud alerts can be found on the FTC website here.